This coming weekend is the Truffle Festival at Montefortino in the Sibillini Mountains. The Festival starts at 5pm on Friday, 15 February with talks on the history, culture and culinary aspects of the truffles found in the Sibillini Mountains. From 10am on Saturday, 16 February, the gastronimc and artisans stands will be open and there will be demonstrations by the Associazione Cuochi del Fermano on how to cook with truffles. At 3pm the Pinacoteca Duranti will open so visitors can see the Museum of Relgious Art and the exhibition of stuffed animals found in the Sibillini National Park. On Sunday, 17 February, the stands will be open from 9am, the Pinacoteca from 10am and there will be street theatre, music and games. 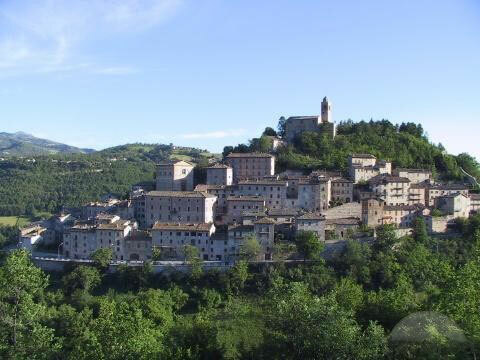 Apart from all this excitement, Montefortino, a medieval hilltop village that was originally a fort, is well worth a visit.